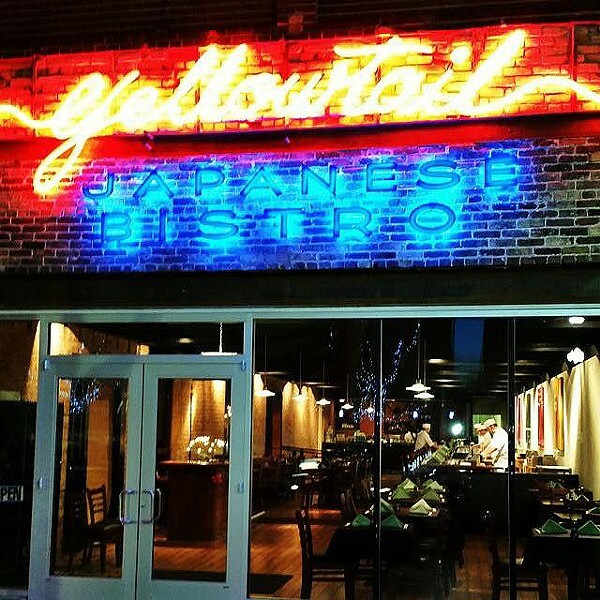 Shogun Japanese restaurant and sushi bar has closed, and Yellowtail Japanese Bistro (321 S. Main, 801-364-7142, YellowtailSLC.com) has opened in its place. If you remember what the interior of Shogun looked like, you'll be amazed at the makeover. A long sushi bar now occupies the entire length of the restaurant on the right side, with a few tables in front and a bar in back. Gone are the tatami rooms, and you'll wonder how they ever fit into the narrow space to begin with. Even the restrooms have been upgraded. Contemporary lighting and furnishings have been installed, as well as a totally new menu which includes sushi and sashimi, and an extensive menu of cooked items ranging from grilled yellowtail cheek and tempura squid to deep-fried chicken karaage, tuna with kimchee, tonkatsu, donburi, shioyaki, soba, udon and more. There's also a small but surprisingly appealing wine list, plus beer, sake, cocktails and such. Powder restaurant in the Park City Waldorf Astoria (2100 Frostwood Drive, 435-647-5566, ParkCityWaldorfAstoria.com) now hosts weekly Wine Down Wednesdays (on Wednesdays, of course) featuring value-priced wines, live entertainment and informal wine education for attendees. The weekly wine get-togethers take place fireside in the Waldorf Astoria's Grand Lobby from 5 to 8 p.m.
Salt Lakers Josh and Becky Rosenthal—Josh is managing partner of Charming Beard Coffee—have written Salt Lake City Chef's Table: Extraordinary Recipes From the Crossroads of the West ($26.95). Although beating the "pioneering" theme a bit to death, it's an interesting collection of recipes and snapshots of local chefs, artisans and restaurants, including some spots based outside Salt Lake City, such as Hell's Backbone Grill, Beehive Cheese, Black Sheep Cafe, Communal, and High West Distillery & Saloon. The authors managed to research and write the book in a mere three months, so I can't vouch for the recipes, which I doubt could all have been home-tested. But, if you're looking for a book devoted to the Utah restaurant scene, this is a good place to start.